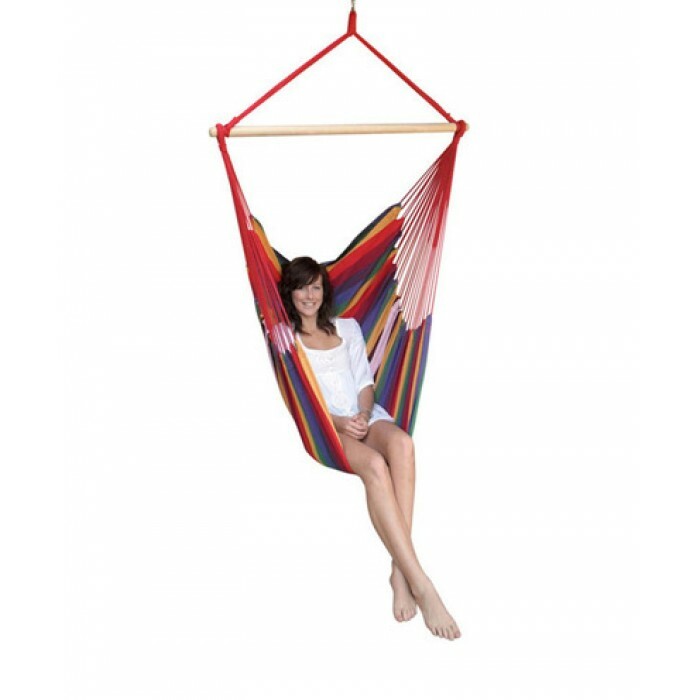 The Brazilian Sling Chair is a fantastic way to relax after a long day at work. 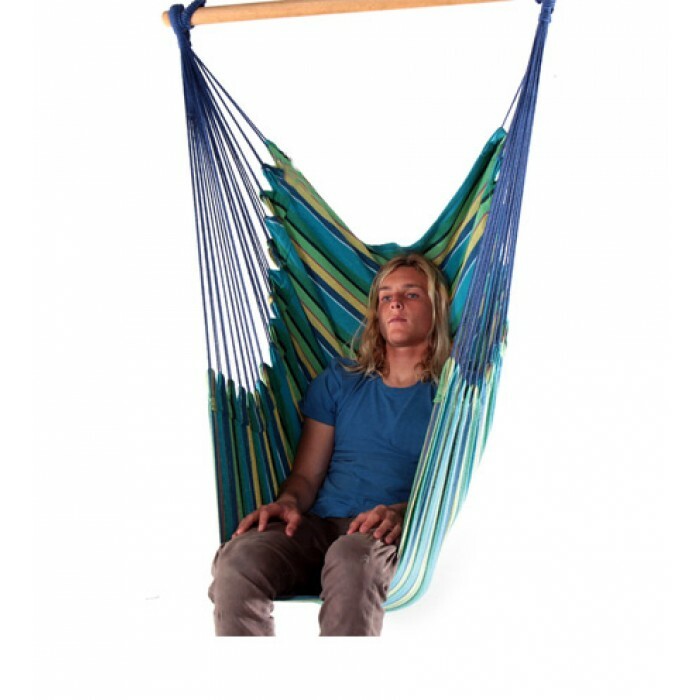 Perfect for home or the beach, these hammock chairs are so comfy you wont want to get out! 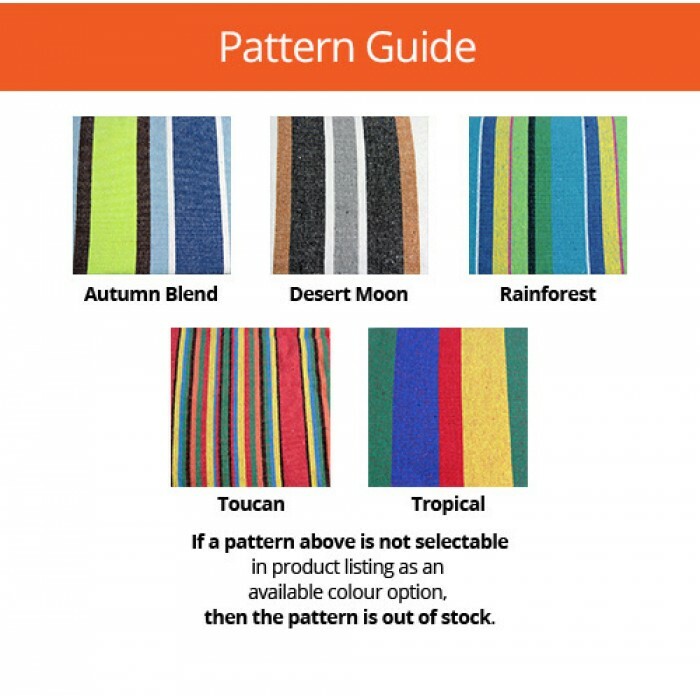 The Brazilian Sling Chair provides maximum comfort along with a range of colours to suit most peoples preferences. A very comfortable hammock chair, the Brazilian Sling Chair is crafted from the highest quality materials including 100% colour fast cotton. Set up requires either a sturdy pole or tree beam, or one of out steel chair stands available from the Stands and Frames section online. 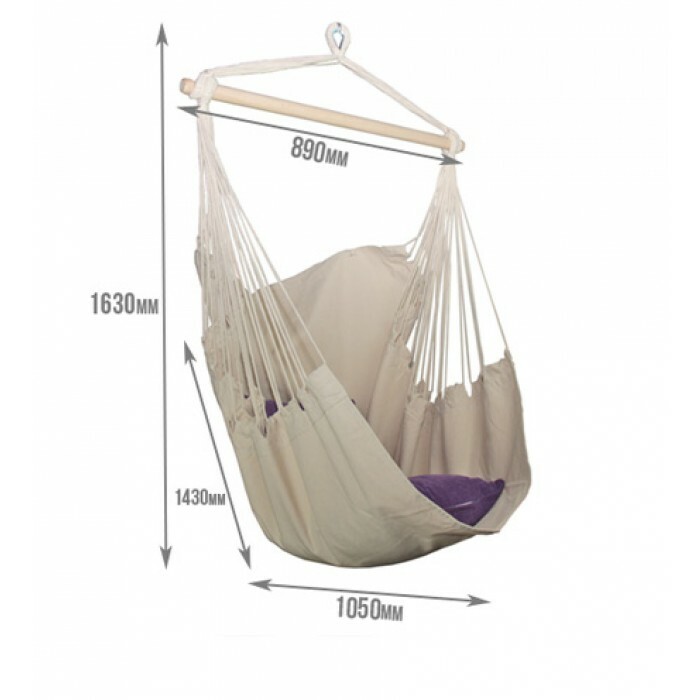 We recommend the hammock spring hanging pack to accompany this chair, as it will help to prolong the life of the chair by taking away some of the pressure and strain from the strings when under load. Please view our accessories for more hanging options.